Here are some thoughts on why each state might have made the list (they are ranked in order of the most net immigration – links for each state go to our mini-retirement guide for each state). Florida. There a lot of good reasons to retire in Florida: no income tax, no estate tax, its friendly Homestead Law, warm winters, plenty of nice places to live, etc. It has a very long coast on both the Atlantic and the Gulf of Mexico, plus countless lakes and rivers. There are big cities like Miami, Jacksonville, and Sarasota. Or charming small towns like Dunedin or Fernandina Beach. Of course there are also people who don’t like the state, who tend to cite humidity, bugs and critters, summer heat, and overcrowding as their reasons. See “11 Iffy Reasons Not to Retire in Florida” and “The Most Walkable Towns in Florida” for different points of view. Arizona. The Grand Canyon State also has warm winters in most of its regions, beautiful scenery, and a choice of affordable (and not so affordable) places to live. AZ is relatively tax-friendly – it doesn’t tax Social Security, has relatively low property taxes, and has the 36th highest Tax Burden from the Tax Foundation. Mesa, home to many active adult communities, is a city with positive net immigration. North Carolina. The Tar Heel state has a reputation as a relatively tax friendly place to retire. Although its tax burden was ranked 20th in 2012, that ranking has probably improved due to changes made in the past few years. There are some exemptions for retirement income. The State has an unusually wide range of geographic choices. You can live at the beach, an inland city or town, or in the mountains around Asheville. South Carolina. The Palmetto State is also considered tax-friendly with a state and local tax burden ranking of 42. People over 65 get a $15,000 exemption on qualified retirement income. The State has slightly warmer winters, plus beaches and lakes, and there are many interesting places to retire – small cities like Greenville or towns like Beaufort. Nevada. It was not much of a surprise that the Silver State benefitted from net over 60 immigration. 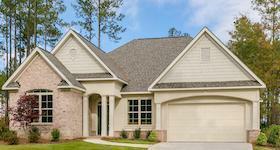 It has warm winters and a huge number of active adult communities with all kinds of amenities. It is one of only three states with positive net over 60 immigration that has no state income tax. Henderson had the distinction of being the U.S. city with the most net over 60 immigration last year. Cost of living is above average, ranked #36 by MERIC. Texas. This huge state made it back into the top 10 again in 2017. One of seven states with no income tax, its state and local burden is low, ranked #46 by the Tax Foundation. Cost of living is low, ranked #12. 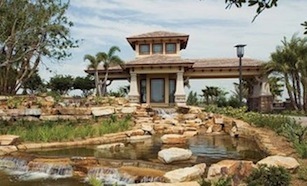 Texas has a range of places to retire from college towns like Austin to its Hill Country towns. San Antonio was the #2 town for net over 60 immigration. There is a long coast on the Gulf as well. Oregon. One of the non-Sun Belt states with the most retiree immigration, Oregon has a mild climate and a range of geography from fantastic beaches to amazing mountains. Its other attractions include no state sales tax, interesting cities like Portland OR, and amazing outdoor experiences in places like Bend. Its 2012 Tax Burden ranked 10th, which is the highest of all these states. The state’s cost of living was also fairly high at 45th. Oregon is a good example of a retirement state that might not be the cheapest, but it has many other attractions that make it very desirable. Idaho. This up and coming state for retirement has a lot more to offer than its famous potatoes. For one, its outdoor recreation is hard to beat. Cost of living is relatively low (ranked 20th), as are property taxes (people over 65 get a significant break on their primary residence). Coeur d’Alene, on the shores of Lake Coeur d’Alene, attracts retirees and tourists because of its outstanding beauty and outdoor recreation. Alabama. Many retirees are attracted to the coastal areas around Mobile, and that includes interesting Fairhope, which began as a Utopian community. Huntsville in the north offers a diverse small city environment. The State’s very low taxes (Tax Foundation burden ranked #39) and low cost of living (ranked 6th lowest) are very important reasons for why retirees are moving here. Georgia. Warmer winters, lower cost of living (11th lowest by the MERIC Index), and lower taxes are some of the reasons why people over 65 are moving to the Peach State. College towns like Athens are a big draw. Tennessee. The biggest sleeper state coming out of our visitor logs is Tennessee, which generated a lot of online interest. Interest and dividends, are the only kinds of income taxed here, resulting in a very low State and Local Tax Burden. Cost of living is 7th lowest in the U.S. Crossville‘s popularity as a retirement destination has led to the development of several very large active adult communities here. Wyoming. For starters, this western state has no income tax, so your Social Security will not be taxed. It also has some great places to retire like Laramie, home to the University of Wyoming. plus plenty of mountains for recreation. Colorado. Though not particularly inexpensive, the state does have a good Tax Burden ranking (35th) and a relatively low flat income tax rate. People want to retire here because it is so beautiful and there are so many great places to live, such as Colorado Springs, Eagle, etc. Delaware. The State has a great location with beaches and rural areas like the Delmarva Peninsula. Its tax burden is not the greatest (16th highest), but the combination of tax breaks for older citizens and very low property taxes make it attractive. 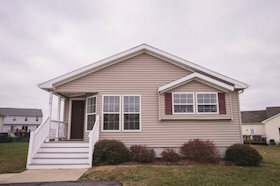 Lewes is the fastest growing region of Delaware with many retirement communities located here and the surrounding area. Although the four states above do not have the best net immigration rankings among people over 60, it is clear from our site logs that many folks are thinking about retiring to them, for a variety of reasons. 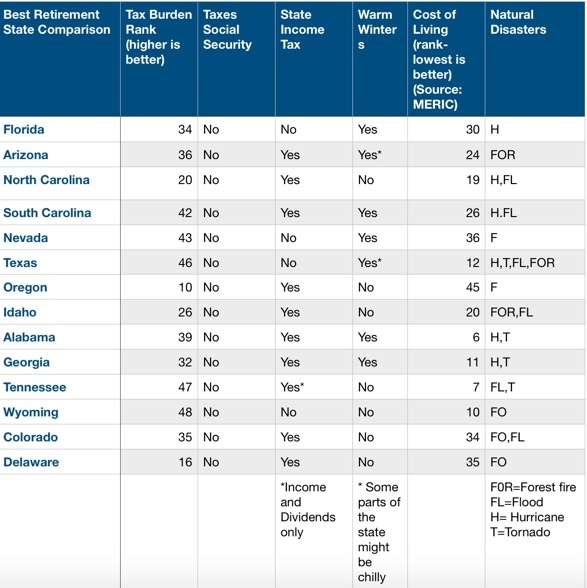 The chart below attempts to show how each of these 14 states stacks up on factors like taxes, climate, natural disasters, etc. Some of the climate rankings might be slightly arbitrary, but hopefully the whole chart will give you a place to start your comparisons. It is useful to look at the states and towns where people actually retire because there have to be some good reasons why they are choosing them. But in the end, your own considerations might be more important. Comments? What is your answer to the question, what is the best state for your retirement? Why is that? Is it where you live now? Please share your thoughts as to why in the Comments section below. 1. There’s a pretty big difference between places that have warm winters and high humidity (e.g. Florida, the Carolinas) vs warm winter/low humidity (e.g. Arizona, Nevada). For some people, this may be a significant factor in deciding where to move. 2. It would be nice if one could make a customized ranking based on how important various categories are to them. For example, being able to weigh access to health care, educational opportunities, recreation, etc. higher or lower than other categories might give an overall better picture of a place’s attractiveness as a future location. 3. Being close to grandkids – this might be the biggest factor of all for some people! Grandchild was our Colorado main reason. The attributes chart shows a number of the things to consider when thinking about where to retire and made me think of the old saying “The whole is greater than the sum of it’s parts”. Even a place that hits a person’s top priorities and is ok with the other stuff might not hit those intangible/hard-to-describe bits that make you feel that it is home. It really is very individual. To answer the question at the bottom of the article – What is the best state for hubby and me? 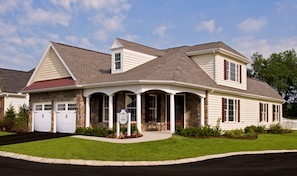 We have decided on Bucks County, Pa. Why? It hits many of the usual considerations; no income tax on retirement income and low taxes on income from other investments, great healthcare, beautiful scenery, parks, museums walking, golf, 1 hour from the ocean, within 1.5 hours of family and old friends, great food of all sorts, good public transportation (light rail to Philly and NYC only about 2 hours away by either car or rail,) and we are in the process of buying a home in what we think will be a great 55+ community – only 58 houses and no clubhouse and no pool – the only amenity is a walking/biking trail that leads into town about a mile). Property taxes are relatively high but they pay for great services and a very low crime rate according to usadata.com (formerly city-data). It’s close to airports and interstates if the winter gets too bad. Re moving to be close to grandkids: remember, they can also move. Mine lived in the Phoenix area. Went out there many times to visit them. Just didn’t really care for the area–too dry for me and unbelievably hot in the summer, like sticking my head in the oven. If I had moved there to be close to them, I would have been out of luck. Their parents tired of the Phoenix area and moved to the Salt Lake City area this year. That is definitely not on my list–SO done with snow. I will visit them for the first time next month. Jean, would you mind sharing the name of the Bucks County community? I’m in NJ and am thinking about a move to PA in the near future for many of the same reasons you mentioned. Hi Linda! We are in Newtown. The community is Lakeview Estates. 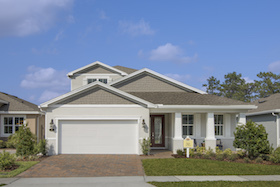 We also like the Regency at Northampton and Heritage Creek both of which are in the same general area. My husband likes to play his electric guitars (sort of loudly) and insists on an unattached house but there are many communities in Bucks that are town houses and look very nice. We also looked up in the Bethlehem area. There are a couple of nice 55+ communities in that area and building on a new one is supposed to start this year. If we didn’t find a house we liked by the time they started building we would have considered having one built there. Originally from Delaware & Maryland, we moved around a lot over the years. After the last 10 years in SE Tenn. we retired and moved to Maine! If you are considering Tennessee, I would suggest you look being closer Knoxville – so much more to do and better medical. Either way, the summers are long, hot and overly humid. Of course it depends on what kinds of things you are looking to do but we found that the Chattanooga area was not for us. TN has no income tax but sometimes you get what you pay for. Once we moved, our auto insurance dropped to HALF of what we paid there and sales tax dropped from 9-1/2% to 5%. Fresh groceries and meat are far better quality here too as well as the education of the population. Happy to answer any other questions or put you in touch with some folks already there. ( Myquest55@aol.com). Hi everyone. We are just starting to think of where to retire in 5 yrs. and so far we have picked Tenn, GA, and SC (in that order) to look at in a few yrs.. I love ALL the comments and thank all for your inputs. Blue, red, purple or religion should not matter as long as you stay away from said subject. Tenn being my #1 choice to retire (no st tax, low prop taxes/no personal prop taxes and low home prices (under $300)) and looking between Chattanooga and Knoxville areas. I am excited to begin my search soon and reading about how people from all over found their “happy forever place” makes me feel confident we will too. I have lived 24 years in South Dakota and they have blizzards and below zero temps and a short summer so do not there unless you love the cold. It is a state with very small cities and most people grew up there. I lived in California for over 8 years but left in the late 70’s and on return visit was not impressed at all. Though that is the best weather ever and love the ocean. You had better have money and like a diverse population, I currently live in Missouri which is very conservative and very humid. The people are surface friendly but relatives is what it is all about.We are looking at retiring in Florida to be in year round warm weather and a community. Missouri is a beautiful state with hills and trees and streams and lots of fishing in the Southern part. People love to fish and swim and enjoy tubing and so on, It is not real expensive to live here but I am not aware of any big retirement communities where I live. ANYONE HERE for Puerto Rico? I did the early-on DC in the mid 90’s (still here) but now it’s even too gentrified for me now into my early 80’s. I’m looking to keep my pied-à-terre in DC and do the same repeat in the PR using the tax Chap 20 & 24 advantages. Thoughts? Barbara – we just moved to Delaware nine months ago (originally from NY/NJ). We live on the outskirts of Milton, in Sussex County. I have mixed feelings. Of course the cost of living is much lower here, although groceries tend to be more expensive. The grocery stores are very disappointing, not only because of the prices but the selection. It is great being so close to beaches, but the NJ beaches are much nicer. Seafood is good here, but pizza is awful. Traffic is increasing as more people retire here but roads aren’t keeping up. Many locals resent the influx. On the other hand, there are plenty of “transplants” who are eager to make new connections. I’m used to doing errands in a close loop, but here things are very spread out. The winter was much milder than what we are used to. As I drive past cornfield after cornfield, inhaling the smell of manure, I feel like I’m on another planet. The slower pace of life is nice. Despite the complaints from the locals about traffic congestion, it is nothing like NY/NJ traffic. Medical care is said to be improving, with lots of new facilities and expansions being built, but it is still hard to find a primary care doctor without a wait, but once you are a patient, then it isn’t a problem. If you have any specific questions, please ask! Barbara – it has been many years since I grew up in Delaware but I will tell you that everyone my parent’s age moved over the border into PA to retire since there was no tax on pensions there. Southern DE has built up now, I guess, but you are still far from Wilmington & Christiana medical as well as any central transportation. My father still lives in the Erickson community of Maris Grove (Glen Mills PA – just over the border) and it is a FANTASTIC place! We considered it but, outside of that, there wasn’t anything for us there. As with any place, you should visit with a list of “must haves” and see how you fit in. e-mail me if you have another other questions. Healthcare is one of our biggest concerns. Linda -thank you for the info on the primary doctor waitlist. Was wondering about the Christiana Healthcare System. Hef – we love Pennsylvania but the weather is a little milder in Delaware we think? Barbara – Sorry but I don’t know much about Christiana for health care. Many people from down here drive up there though, yet I keep hearing that the hospitals here are quite good. As far as your question about mixed age vs 55+, we are in a mixed age community that happens to have a lot of retirees in it. Many disappear for the winter. I kind of wish that we were in a community with a pool. We would be able to meet more people that way. HEF – Enjoy reading your experiences in these NE states. Curious how you selected ME recently and your feedback on their healthcare and long winters. We have enjoyed many vacations along the coast of ME and it is at the top of my list along with WA and OR. The extreme heat and humidity of the southern states is a turnoff for us. My husband has just returned from a visiting his elder brother in AZ and does not care for the lack of green and their very hot summers. Barbara: As for Delaware… Its a nice state, I have family and friends who live there half love it half aren’t crazy about it. The temps aren’t much different that those in Southeast Pa, maybe moderated a tad by being close to the ocean but not that much. My suggestion would be to rent for a year or so before you buy. For Barbara – PA is a BIG state so yes, Delaware climate can be milder than the Poconos or western PA however its not much different from SE PA and can get snow or hot summers. The weather has been unpredictable everywhere as we move forward so I would not let climate be your only reason to move. For JoannL – ..and that said, we knew we wanted to come back to New England for cooler weather but were not happy with the tax and finance sitautions of CT & RI – where we had been before. We wanted a small city – lots to do but not sprawled across miles of highway and traffic. So, we made a list, came up in 2015 and did a week of intense investigation. We subscribed to the local paper online, Maine magazines and read posts on sites like this. We were fortunate to find a fantastic Realtor who patiently worked with us for 2-12 yrs before we finally were ready to buy. The more we found out, the more we knew we would like it here – the medical clinched it. There are a LOT of creative people here and a group, to join, for EVERYthing! Yes we are indoors during the winter but snow doesn’t stop anyone! They love veterans and we have had a lot of respect anywhere we’ve been. If you (or anyone else) have more specfic questions or would like to plan a visit – ask Admin to forward you my address. HEF, remind us, where specifically are you in Maine? Jennifer – We are not far from Portland, so the southern half of the state. Hope that helps. Thanks, Admin, I have not had any un-wanted e-mails but I appreciate that you would forward that information to someone from this discussion who wanted to reach out for more specific information. HEF: Lots of people in Washington, DC spend their summers in Maine and yes I am familiar with Portland. I am so glad that you enjoy the area year round. Snow is great if you do not have to drive in it too much and if other people also know how to drive through it safely. Congratulations on finding your dream retirement. My husband and I will not move far from our children. Period. Having overseen the medical care for three of our parents during periods of declining physical and cognitive health, we are very clear about the critical importance of close family members checking in frequently and taking the lead when necessary during various crises. When or if my husband and I need loved ones advocating for us we would deeply regret moving to another state for more advantageous tax situations or a lower cost-of-living. We are fortunate to have close relationships with our children, children-in-law, and grands, and are even more fortunate to live within 20 miles of each other. We are all strongly rooted to the area. Proximity to our family trumps all other location considerations, whether viewed singly or in aggregate. Jcarol, I agree with you about the importance of staying near family. Too many people minimize the importance of family. I was so glad that my parents stayed nearby so they could see their grandchildren grow up. The grandkids benefit so much from the older generations. My former in-laws headed off to Florida and never got to know their grandkids at all. Yearly visits are just not the same to a child. I say stay near family and travel if you can.